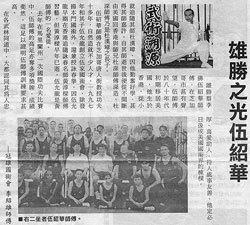 13) An article announcing Instructor Keith Voney's recently earned title of Wing Chun Grandchampion. 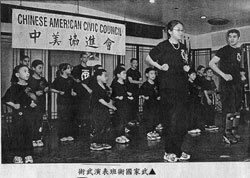 10) Picture taken at a performance at a Chinese cultural center. Sifu Phil leds a children's group in forms. 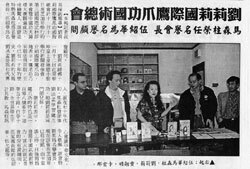 14) Sifu Li Siu Hung introduces Sifu Sam Ng in an installment of his weekly column in the Florida Chinese News. 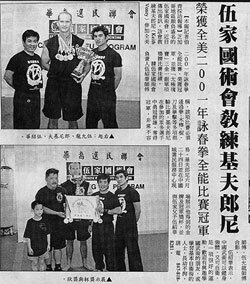 11) An article announcing Instructor Keith Voney's recently earned title of Wing Chun Grandchampion. 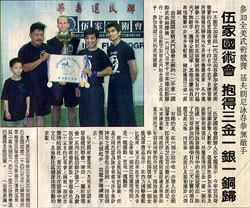 12) An article announcing Instructor Keith Voney's recently earned title of Wing Chun Grandchampion. 16) Sifu Lily Lau visits Chicago to promote her tourament and her martial arts organization.